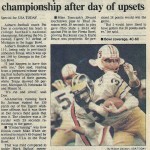 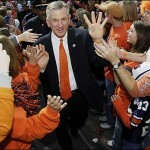 Do the Knights of The War Eagle Reader Roundtable still thrill to memories of Tommy Tuberville? 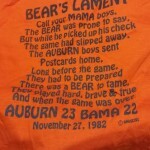 Previously: The Knights of The War Eagle Reader Roundtable ponder the possibility of (ever) topping 2010. 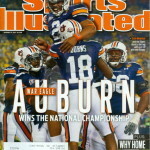 “Knights of the TWER Roundtable”—it sounds good and it reads better, because these dudes know their stuff—they read their blogs and their Bibles and they, these dudes right here, that I’ve assembled and asked to answer hard, pressing Auburn questions (because I my … [Read more...] about Do the Knights of The War Eagle Reader Roundtable still thrill to memories of Tommy Tuberville?